In this episode of My TechDecisions Podcast, host Jonathan Blackwood talks to Bryan Payne, PMP, about ROI for technology projects. 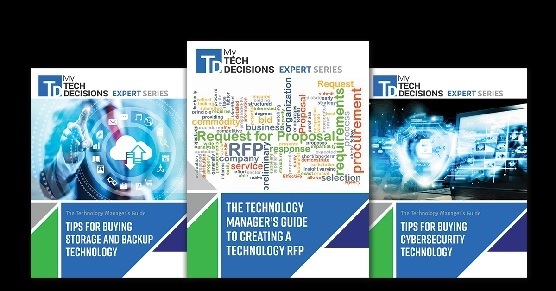 In today’s episode of My TechDecisions Podcast, host and TD Managing Editor Jonathan Blackwood speaks with Bryan Payne, Project Management Professional, about how to determine return on investment (ROI) for technology projects. In his first guest appearance on My TechDecisions Podcast, Bryan discussed the full project management lifecycle. This time around we key in on a specific piece of project management – determining ROI for the project. ROI is one of the most important things for any project manager or tech decision maker to understand. It’s the way to determine the worth of a project. You’re spending a significant amount of money on implementing new technology. You’re not doing it just to throw it away – there needs to be a business case behind the decisions that you make. That’s where ROI comes into play. ROI helps to determine what you’ve gotten from your technology project. It could be simple – you increase your profits by implementing new tech. Most of the time it will be more complicated – saving time, reducing overhead, improving processes, and so on. ROI is really the determining factor in understanding whether or not a project was successful. In our interview, Bryan talks about ROI as it pertains to the project management lifecycle. He discusses how to determine potential ROI before the project even begins, and why that is important. He goes on to explain how you should present ROI to stakeholders in order to get approval for a project. Finally, he discusses how to track ROI once the project is complete by using hard savings and soft savings. Anyone interested in learning more about how to determine ROI and use that information should give this episode a listen.